What Type of Rodent Should You Get? Hamsters, guinea pigs, mice, rats — the rodent list is rather expansive. While some still aren’t too keen on these critters, there are many others who call these pocket pets “friend.” In fact, if you make your way into almost any pet store, you’ll find quite a variety of rodents that are bred specifically for companionship. The size, shape, color, temperament and lifestyles of these rodents differs between species. If you’re considering bringing one of these tiny treasures home with you, there are a few things to know. 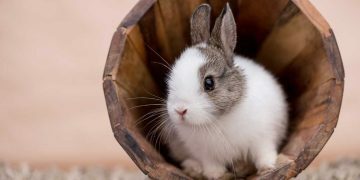 Here are some specifics on the most popular rodents to keep as pets, so finding the perfect companion will be an easy decision. Hamsters are a popular pet to have from the rodent family. Their big eyes, tiny ears, delicate paws, and spunky personalities certainly help catch the attention of prospective pet parents. You can’t help but be drawn to their cute faces and pouched cheeks. But, there is more to these rodents than what first meets the eye. When hamsters come to mind, most will picture the classic “teddy bear hamster.” These are Syrian hamsters, and are one of the larger varieties of hamsters. They come in all sorts of colors and combinations, and can be either short or long-haired. On average, Syrian hamsters have a lifespan of about 2 to 3 years. Roborovski, Russian, Winter White, and Chinese Hamsters are often grouped together as dwarf hamsters. These pocket pets are a bit smaller than their Syrian cousins, but have a similar lifespan of anywhere from 1.5 to 3 years. These hamsters often come in variations of browns, tans, grays, and whites, and all tend to have a white belly. 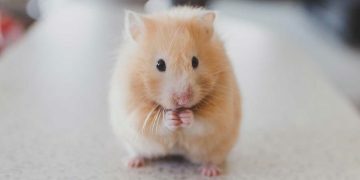 Though often shy, skittish or scared at first, hamsters tend to develop fairly even temperaments, and only becoming cranky and aggressive when scared, awoken abruptly, or when housed together with other hamsters. While most hamsters will tolerate others as housemates for some time, as they age, they become more territorial and may become aggressive toward the same hamster they once snuggled up with. Hamsters like to live more solitary lifestyles, so if you’re considering keeping multiples, it’s suggested that they be housed in separate cages. Hamsters will be comfortable in either a cage or an aquarium with proper ventilation and spacing. Because Syrian hamsters grow to be larger than dwarf hamsters, you may find that the cage you originally bought for them becomes too small as they age. 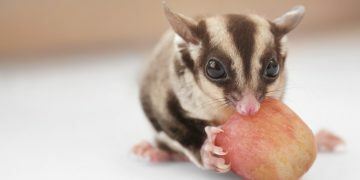 Their favorite tunnels can become more difficult to squeeze through, especially when they fill their cheek pouches with their favorite treats. As far as bedding, most recommend using soft paper bedding for both comfort and odor control. You should clean tunnels, houses, and other cage accessories at least once a week. A complete bedding change is also necessary to ensure they stay healthy, and your home stays odor-free. Hamsters are a great choice of pet for kids due to their soft and cuddly natures, however they do still need to be properly cared for. We'll teach you how here!